This week RAW action took place at Bell Centre, Montreal, QC. The show kicked off with Stephanie McMahon announcement os superstar shake-up. Shane McMahon was alongside her sister Stephanie, when Stephanie was about to make the first superstar shake up change, The Miz attacked Shane McMahon from behind. Click here to see how The A-lister assaulted Shane O Mac. Andrade superstar from SmackDown challenged Finn Balor in a non-title match. The Irish man Balor lost to Andrade in the latter’s Raw debut following a Superstar Shake-up brand jump. Apart from this Raw and SmackDown Women's Champion Becky Lynch was challenged by Natalya and Lacey Evans. Natalya and Lacey Evans fought with each other for the No.1 contender spot to face The Man Becky in a title match. Lacey Evans defeated Natalya to earn a Raw and SmackDown Women’s Championship opportunity. 1.The Revival and The Viking Experience defeat Ricochet, Aleister Black, Curt Hawkins and Zack Ryder in the 8-man tag team match. 2. Andrade defeats Finn Balor. 3. Rey Mysterio interrupts Elias; Lar Sullivan attacks Mysterio. 4. The Usos defeated Chad Gable and Bobby Roode. 5. Sami Zayn insults the people of Montreal. 6. Naomi and Bayley defeat The IIconics. 7. Seth Rollins, Roman Reigns and AJ Styles defeat Drew McIntyre, Baron Corbin and Bobby Lashley. 8. Becky Lynch defeats Ruby Riott. WWE has indeed prepared a plan to built up the flow for the WrestleMania 36. 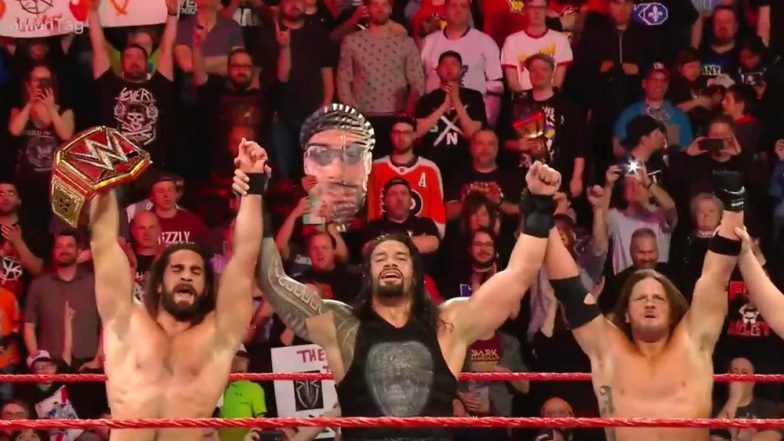 Click here to view the highlights of WWE RAW April 15, 2019. The Superstar shake-up will continue on WWE SmackDown too. Stay updated to our website- Latestly for more news on WWE.